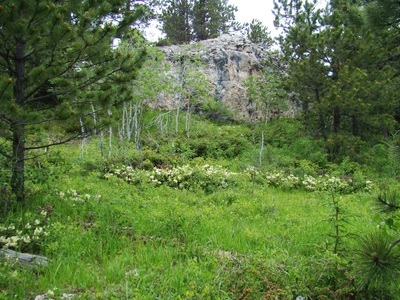 Crooks Tower is one of the most remote summits in the Black Hills. 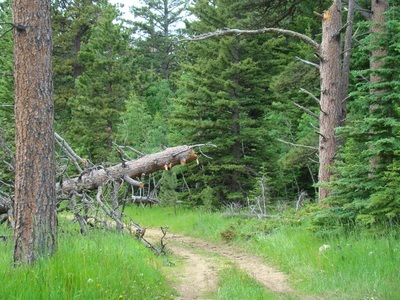 Like nearby White Tail Peak, it is a more popular destination for ATV riders than hikers. But, hikers still come to Crooks Tower every year because it is one of the five highest peaks in the Black Hills. Because there are forest service roads almost all the way to the summit, it is barely an off-trail hike. This is not a high and majestic peak, just a nice and easy short hike through the forest and a fairly clear view southeast from the large summit block. 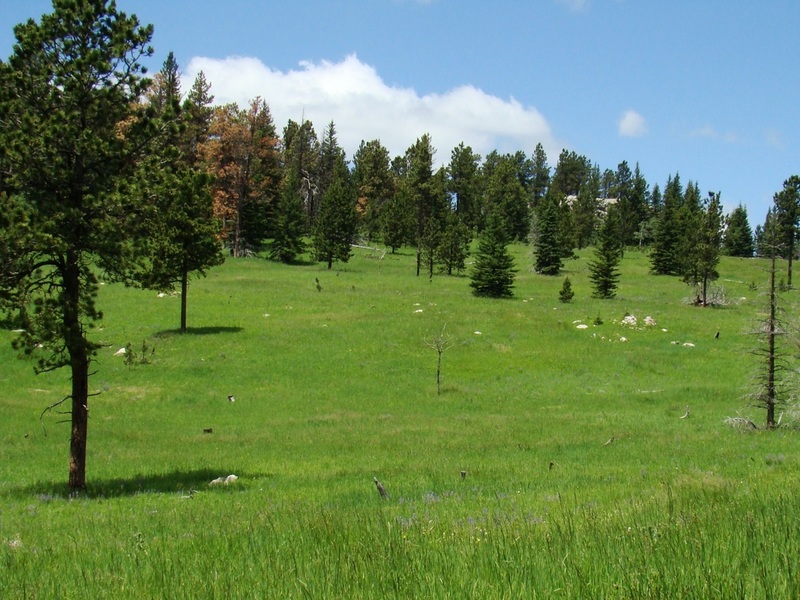 From Forest Service Road 189 to the summit and back to Road 189, is just under one mile of hiking, with only about 150 feet of elevation gain. 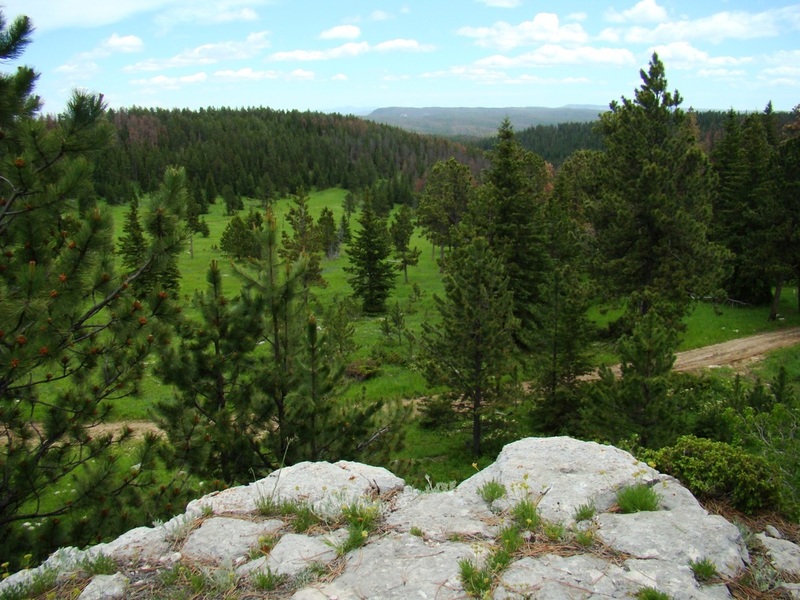 The only clearly identifiable peak from the summit of Crooks Tower is Black Elk Peak. 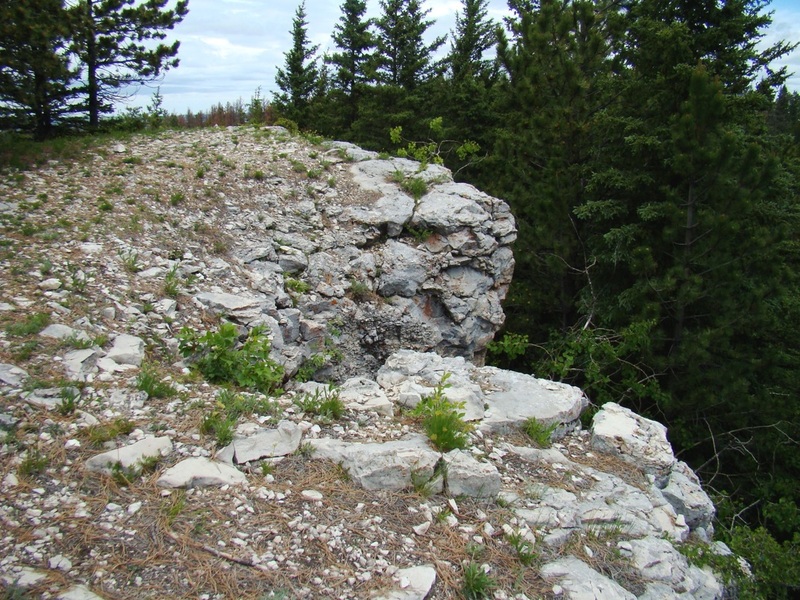 And you will need a good pair of binoculars to see the detail on Harney Peak. To reach Crooks Tower, travel west from the tiny community of Rochford on Road 231, Rochford Road (also South Rapid Creek Road). At Road 189 go south around 2.5 miles to reach the junction with Forest Road 189.4A. Park wherever it is safe and hike the half-mile to where you will see the large summit block of Crooks Tower. Leave the road and hike to the summit. The photos below should give you an idea of what to expect. 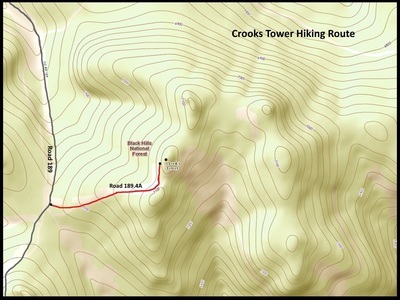 A map is also included with the photos for your convenience.